How might a new, yet-to-be-named Wells Fargo CEO right the ship? “Be truthful,” says John Kwit, a former Wells Fargo FA, echoing the sentiments of another advisor who also left the embattled financial services institution. Kwit and Jeff Williams, who also spoke to FA-IQ for this story, both propose two specific reforms. First, Wells Fargo should stop pressuring advisors in its retail bank branch offices to send their clients to counterparts in the private client group channel, since that switch is not in the best interest of the clients. Second, Wells Fargo's managers should keep promises they make about compensation when they recruit FAs. In late March, Wells Fargo’s CEO Tim Sloan abruptly announced his departure. The bank’s board appointed as his interim replacement C. Allen Parker, who previously served as its general counsel. The board also announced it had started a hunt for a new permanent CEO — reportedly, several women candidates are shortlisted. The management changes follow a slew of bad news for Wells Fargo, which is under investigation from multiple government agencies and still reeling from its retail bank’s fake accounts scandal that began in 2016. The U.S. Department of Justice and the SEC broadened that probe in March 2018 to include a review of the bank’s wealth management unit, which is pending. Kwit worked for Wells Fargo’s retail bank unit as a financial advisor from 2015 to 2018 and now works for Naples, Fla.-based RIA Kingsview Asset Management, which has $900 million in assets under management. He often faced a choice during his Wells Fargo stint between “what’s right for my paycheck and what’s right for my clients,” Kwit says. He says his manager pressed him and made his compensation increases contingent upon his willingness to send clients whose assets under management had reached a minimum of initially $2 million (but eventually only $1 million) to Wells Fargo private client group advisors. Those advisors typically charged the clients higher financial planning advisory fees and sold them proprietary products, rather than just commissions for transactions, Kwit says. The pressure was overt, he says. “If you were at a good branch, and you didn’t toe the line, they would tell you, ‘We can find someone else to fill that seat,’” Kwit recalls. “That’s why I left,” he adds. For him, the temptation to “toe the line” rose as his compensation shrank, falling to a much lower rate than what he calculated based on the terms he had understood from recruiting managers, Kwit says. 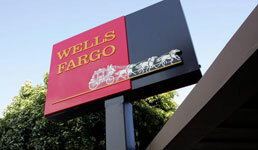 When he accepted the Wells Fargo position, the managers who recruited him failed to clarify that he would be obligated to reimburse the bank for referrals, as well as pay back loans and compensation they had characterized as “bonuses,” Kwit claims. Williams left JPMorgan Securities and came to Wells Fargo's retail bank unit in 2016 — about 30 days before news stories began surfacing about the retail bank’s employees’ widespread creation of fake checking accounts to meet unrealistic sales goals. “It was the biggest mistake of my career,” says Williams, an 18-year veteran advisor who started at the wirehouse then known as Salomon Smith Barney in 2000 and now works at Fifth Third Securities in Naples, Fla.
“Not one client followed me,” Williams recalls, noting their reluctance did not surprise him, given Wells Fargo’s increasingly scandal-smudged brand at the time. A manager initially assigned him clients who had belonged to an advisor on leave, but when the same advisor returned to work, the manager “yanked” the clients away from Williams, he says. What’s Williams’ advice to the executive who ultimately wins the role as Wells Fargo’s new permanent CEO? “At a minimum, be truthful. Be truthful when trying to recruit advisors and stop trying to push clients to the private bank,” Williams says. One recruiter, who frequently helps Wells Fargo recruit advisors, declined to comment for this story.